General (Ret.) 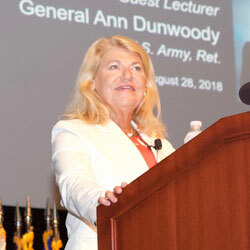 Ann Dunwoody address the CGSC Class of 2019 on Aug. 28 in the Eisenhower Auditorium of the Lewis and Clark Center on Fort Leavenworth. 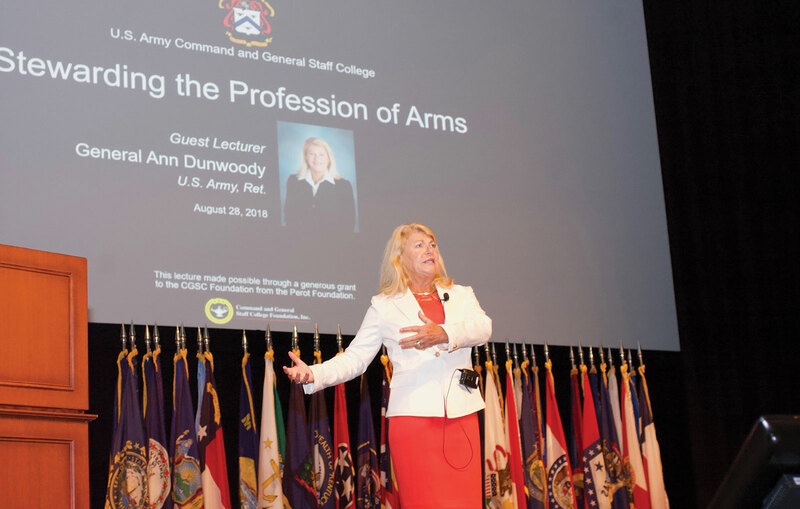 Dunwoody’s presentation entitled “Stewarding the Profession of Arms” served as the Class of 2019’s introduction to ethics. 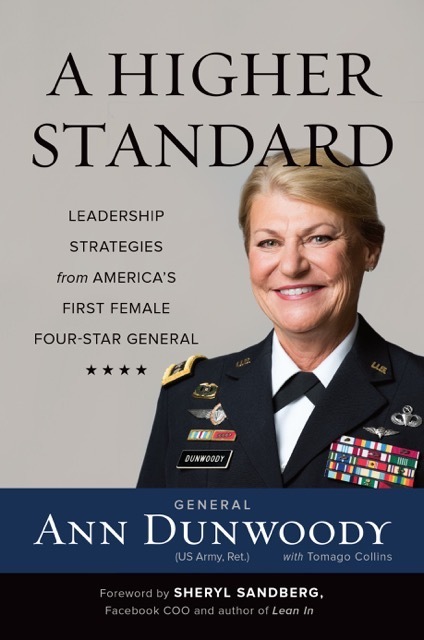 After her presentation in Eisenhower Auditorium, Dunwoody conducted a book signing at 10 a.m. in the AAFES Book Store in the Lewis and Clark Center for her book A Higher Standard which was first published in 2015. Every CGSC student wanted a photo with Gen. (Ret.) Dunwoody after she autographed their books. In her remarks, Dunwoody repeatedly stressed “standards” as the means to deal with leadership challenges in any organization. 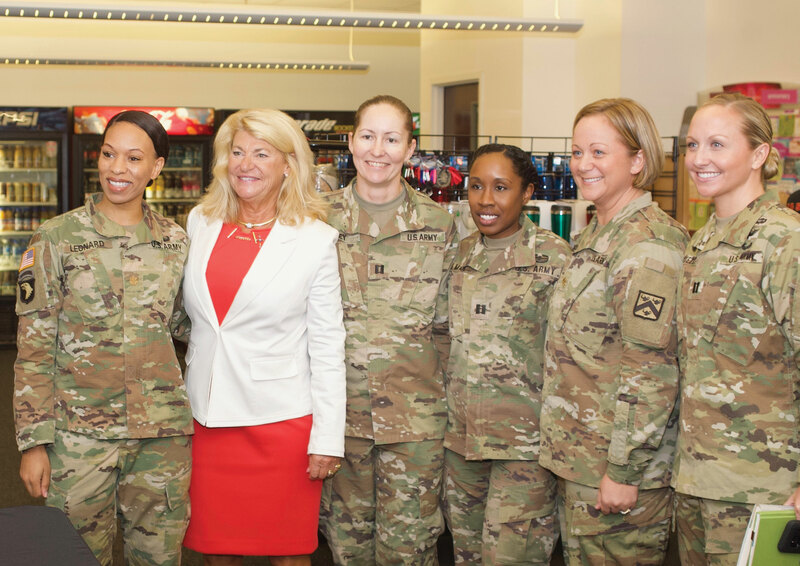 When asked during the question and answer period at the end of her remarks, she responded with “standards” even as a way to deal with some of the prickly situations for women working in a male-dominated organization such as the Army. After her lecture, Dunwoody conducted a book signing for more than an hour for her book A Higher Standard in the Lewis and Clark Center bookstore. A long line of CGSC students gathered to get an autographed book and a photo with her before she had to race off to the next event in Kansas City. Earlier in the morning, Dunwoody gave a presentation to the Henry Leavenworth Chapter of the Association of the U.S. Army at a breakfast event in downtown Leavenworth. After the lecture and book signing for the CGSC class, Foundation President/CEO Doug Tystad and Director of Operations Ann Soby escorted her to the Country Club Bank offices on the Plaza in Kansas City, where she gave a luncheon presentation hosted by Mary O’Connor, a Foundation trustee and executive vice president/director of logistics for the bank. Later in the evening she gave a presentation to the Junior League of Kansas City. 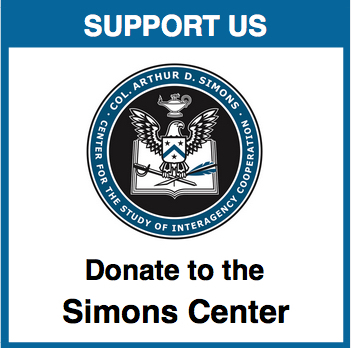 Gen. Dunwoody’s lecture to the CGSC Class of 2019 and Foundation friends in the greater Kansas City community was made possible by a generous donation to the CGSC Foundation from the Perot Foundation as part of the Foundation’s ethics programs. For more photos from the CGSC lecture and book signing, visit the album on the CGSC Foundation Flickr site. For photos taken during the luncheon at Country Club Bank visit the album on the Bank’s Flickr site.